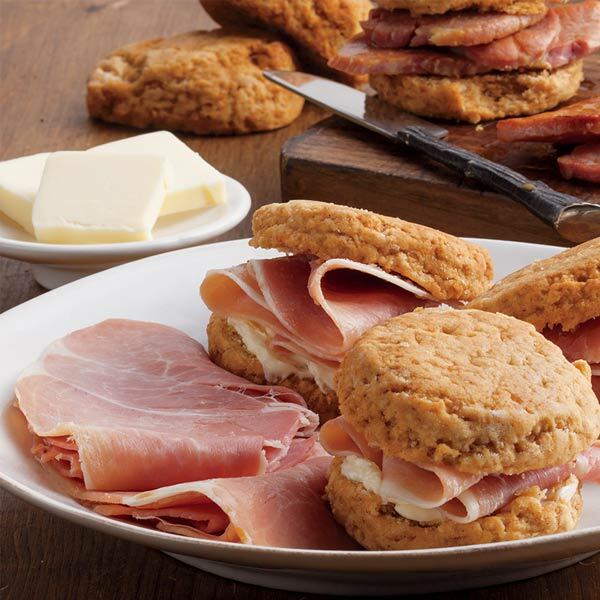 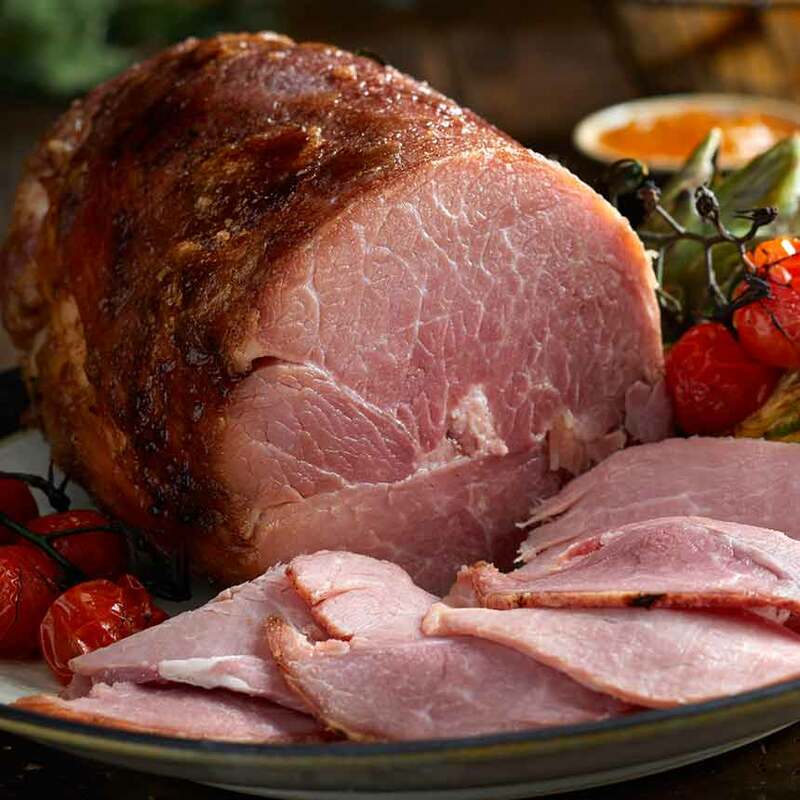 Country Hams are the quintessential dish of The South. 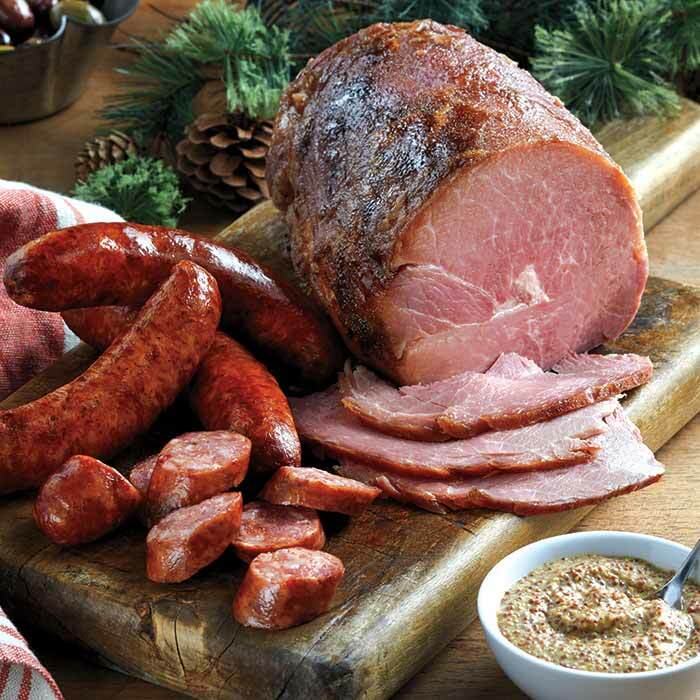 Salt-cured by hand and smoked with natural hickory wood, these country hams are aged to a rich mahogany color. 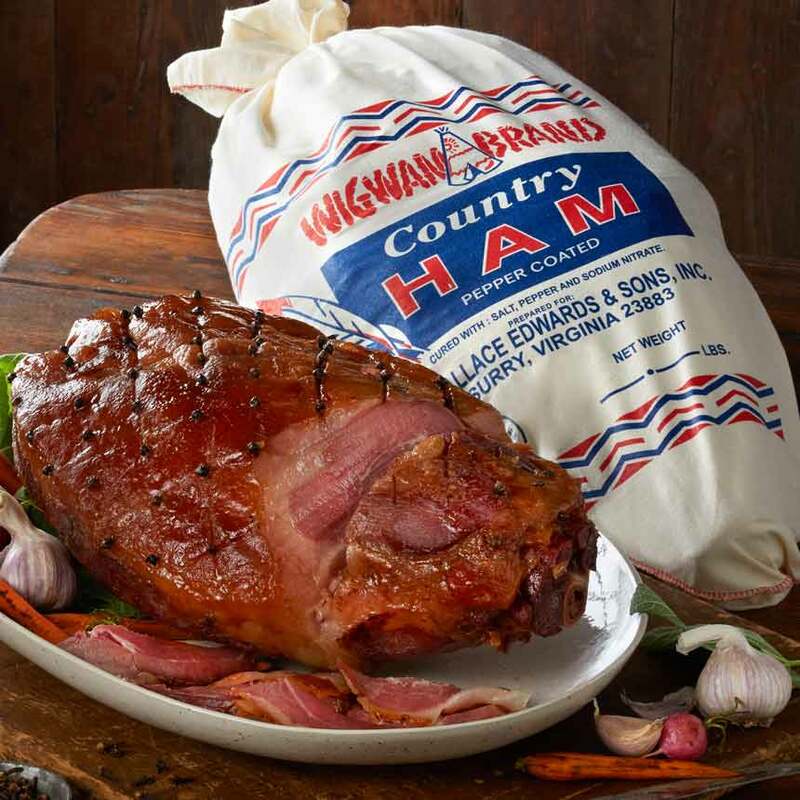 Our limited edition Wigwam Brand ham, aged a full 270+ days for full-bodied, intense flavor. 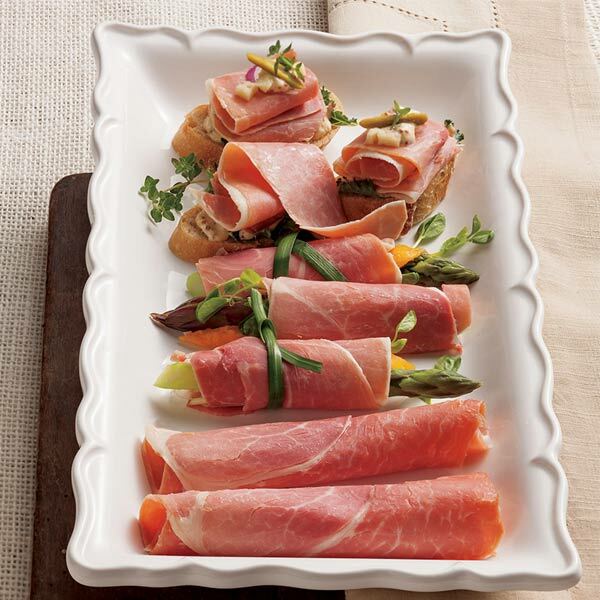 This classic Wigwam Brand Country Ham is completely boneless, ready to heat, slice and serve. 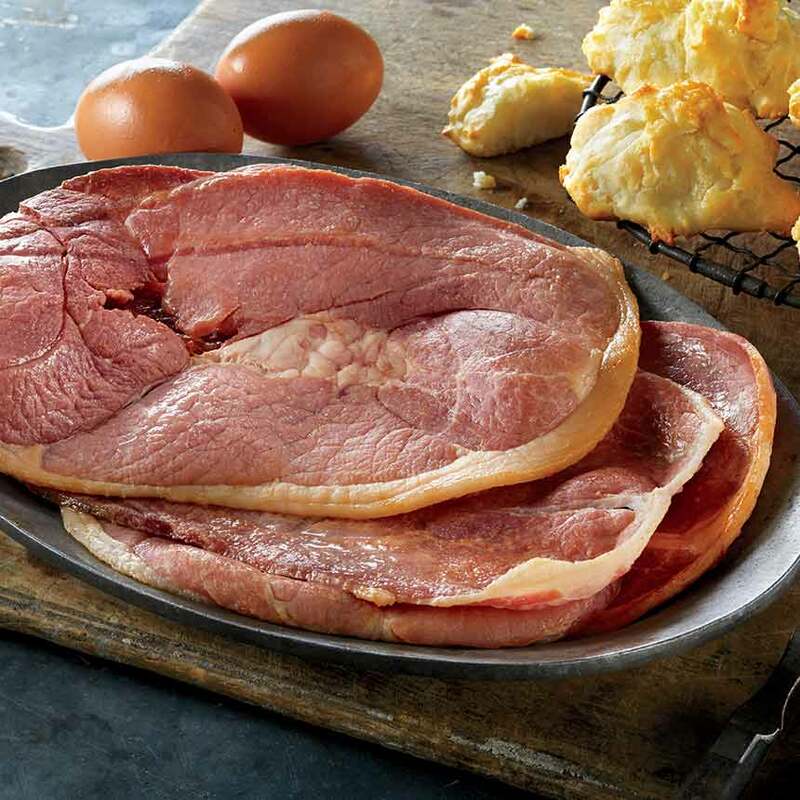 Fully cooked, completely boneless bursting with Southern hickory flavor. 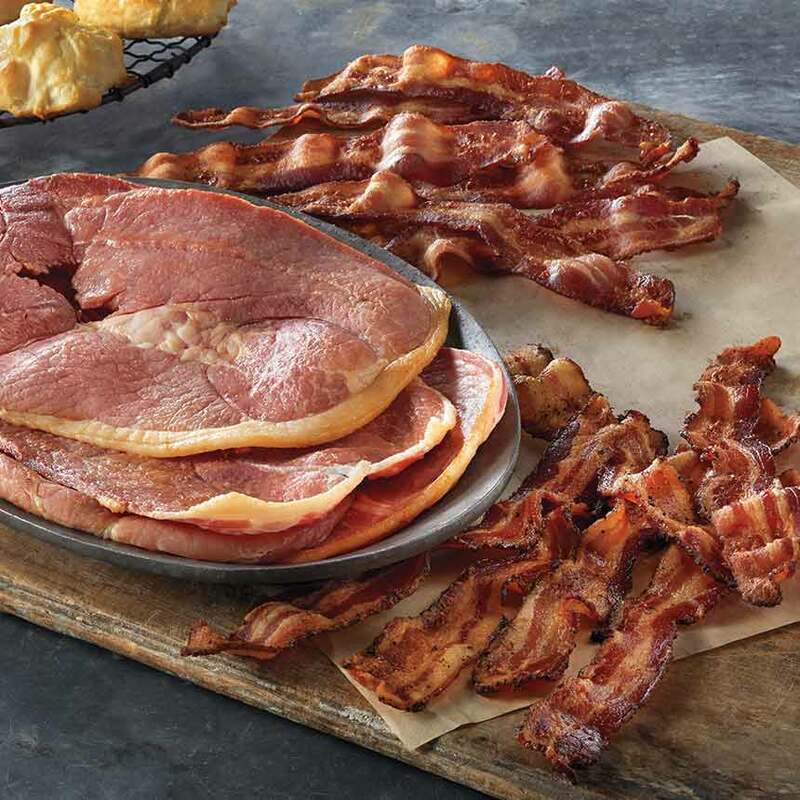 Just slice and serve. 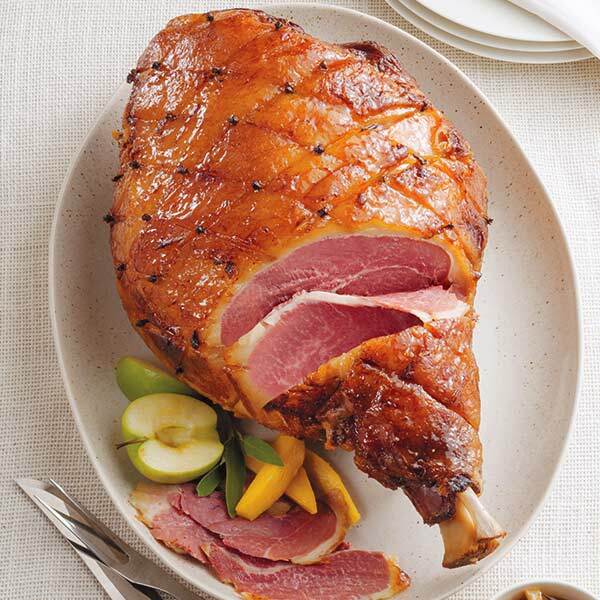 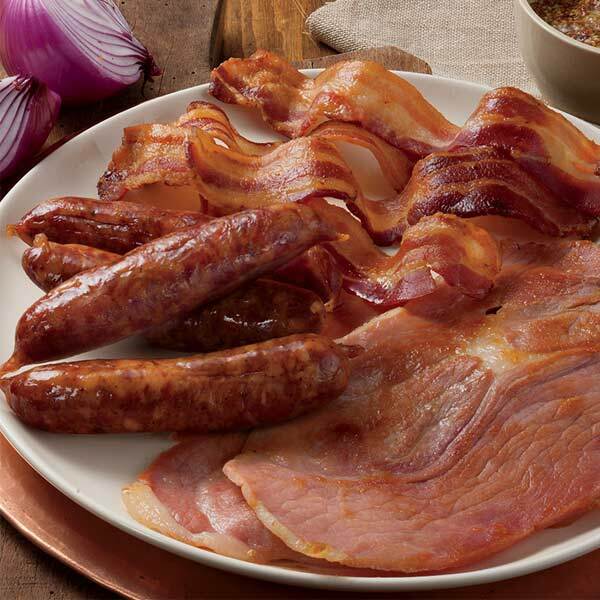 Country Ham that's hickory smoked, aged 4 to 6 months and glazed with brown sugar and honey.